Simple Tire offers a Road Hazard Warranty for 10% of the price of the tire! It covers the first 25% of the tire's tread life or 1 year from date of purchase, whichever comes first. Our program covers the replacement of your covered tire in the event that the tire is deemed non-repairable by a reputable auto service repair facility. Manufacturers occasionally suggest that products be advertised at their suggested retail price. When we offer these items for less, we display the sale price only in the cart. This item has been added to your cart to show you the sale price. Please choose "Keep in Cart" to purchase this item or "Remove from Cart" to continue shopping. The Deestone D905 trailer tires feature robust construction for long mileage. Their ribbed design and stable footprint minimize rolling resistance for high fuel efficiency. The four grooves provide a channel to remove water and minimize the risk of aquaplaning on wet surfaces. On sandy areas, the optimized structure and shape of these tires ensure a wide footprint to provide flotation. The closed shoulder design enhances even distribution of pressure to reduce irregular wear. 12/ --16.5 N/A 0 lbs 0 psi 0/32nds N/A 0" N/A 0"
Purchase includes the Deestone D905 tire only. The wheel rim shown in the picture is not included. Picture provided is a stock picture from the manufacturer and may or may not reflect the actual product being ordered. All Deestone D905 tires are continuously developing with manufactured improvements. With that said, Simple Tire and the manufacturers have the right to change these tire specifications at any time without notice or obligation. Please Note: Specifications of the Deestone D905 tires shown above are listed to be as accurate as possible based on the information provided to us by Deestone tires. This product is not covered by a manufacturer’s treadlife warranty. I put these tires on a Construction dump trailer and they are awesome! Great price and quality. I will buy these tires again for sure!!! By submitting a review, each person received a sweepstakes entry. Passenger tires are some of the most common tires on the road. That's because they're the perfect option for commuters who are putting a lot of miles in each week. Offering low road-noise, a comfortable ride and versatility without sacrificing performance, these tires are great for compact cars, sedans, minivans, SUVs and crossovers. Light truck tires are evolving just as fast as the trucks themselves - maybe even faster. Now they're more comfortable than ever and give you car-like handling without sacrificing the aggression, durability and integrity needed to withstand heavy loads Ligh truck tires are indicated with the symbol "LT" in front of their tire sizes. Downtime costs money if you're running delivery vans, trucks or 18-wheelers, that's why commercial tires are made to withstand heavy loads and can provide years of dependable use. If you need a reliable tire that can keep your services on-time and on track, commercial tires may be the answer. Farm tires are designed specifically to provide traction and control in varied soil conditions while maintaining minimal soil compaction. If you're looking for excellent traction and cut-and-tear resistance, we have the farm tire to fit your needs. Choose from a large selection of popular farm tire brands including Power King and Firestone. 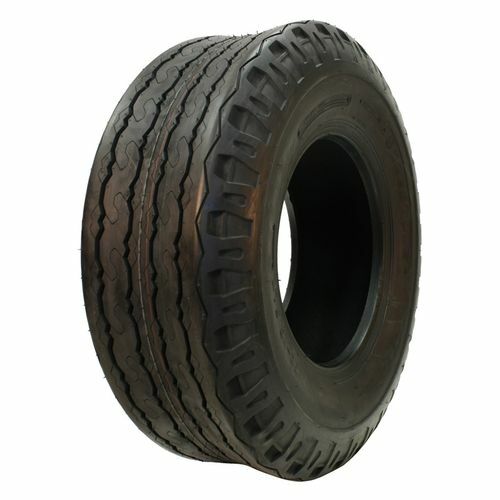 Industrial tires are designed to provide safety and to facilitate productivity as is essential on industrial work sites. With ultra-reliable construction and the ability to take knocks and bumps, this is a tire that will keep your production moving. These tires are ready for a hard day's work everyday. Few tires can provide the extraordinary performance that the OTR tire can. 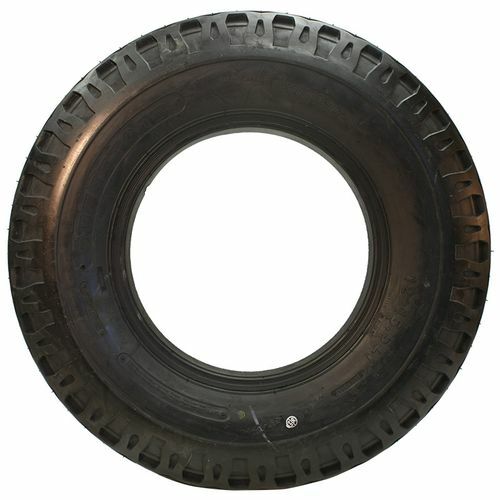 This tire is used for earthmovers, skidders, loaders and has many more industry applications. OTR tires have tough tread compounds and are designed to be puncture and tear-resistant - making it the perfect tire for heavy-duty conditions. An ideal choice for professional landscapers and homeowners, lawn and garden tires come with an extra-strong nylon body to increase resistance to tears and punctures while distributing the vehicle's weight in such a way that it can reduce the impact on your turf. If you have a lot of yard work to do, and don't want to leave the evidence in your tracks - lawn and garden tires are the answer. 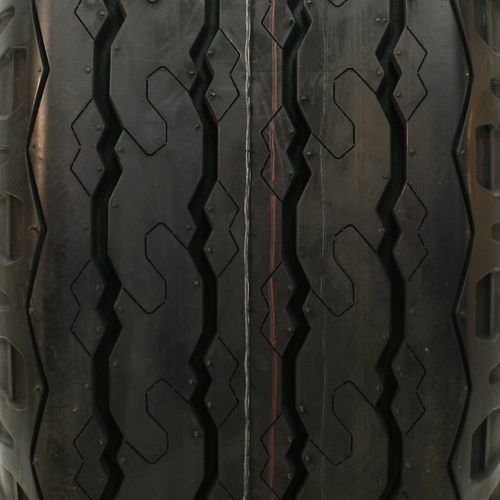 Motorcycle tires can vary depending on the type of riding you plan on doing and the model of your motorcycle or scooter. We carry a large selection of motorcycle tire brands including Kenda, Michelin and Mickey Thompson, so if you need tires you can trust on two wheels, you're in the right place. If you need a tire that gives you safe handling and traction but doesn't ruin your finely-manicured turf - you're probably looking for golf tires. These low-pressure tires combine with their feather flotation design to leave minimal trace behind them. Golf tires provide a safe ride while inflicting minimal damage to the surfaces they come in contact with. These tires are intended for trailer axles only, and can withstand long miles of in-line hauling. They're not meant for steering or drive axle applications, and their design offers years of reliable service in trailer applications. Choose from favorites like Gladiator, Carlisle and Goodyear trailer tires. Looking for a hard-to-find whitewall or antique tire for your classic car or truck? You're in the right place. We carry dozens of antique tires that are no longer in production and difficult to find at most tire stores. From Coker to Universal we've got the largest selection of antique and vintage tires. The "donut" or temp spare tire became popular in the 90s as a temporary replacement for blown or damaged tires. Made for light travel and, ideally, short distances, the temp spare can get you out of a tough spot and back on track to safety if you have trouble on the road. It's a great idea to always keep at least one spare tire handy. When it comes to racing, your tires can make all the difference. Racing tires tread patterns are optimized for speed and the tire itself is constructed to provide ideal performance in racing scenarios. If you're heading for the podium, racing tires will take you there. All season tires are exactly what the name implies - they have a tread pattern, internal design and rubber compound designed for traction and performance in wet or dry conditions. All season tires are a compromise which means that you don’t have to change tires in the winter or summer - no wonder they have become popular worldwide. All-terrain tires are great for navigating gravel, loose soil, stone, snow and sand. Their tread compound is designed to stay flexible and react to weather or conditions so that you can maintain traction in varying circumstances. Look for the industry's "M + S" symbol which denotes all-terrain tires with all season versatility. Highway tires are created with features like spiral-wrapped nylon caps which help maintain low road noise and circumferential grooves which direct water away from the tire to help prevent hydroplaning. If reliable performance and excellent traction are the most important for you, highway tires are a perfect fit. Mud terrain tires have to do more than just look tough- they have to get you into the rough places and get you back out again. Mud tires typically have an aggressive tread and deep lugs with self-cleaning bars to eject mud and stones. If you're going off the beaten path then mud tires might be exactly what you need. Performance tires offer outstanding cornering and precision handling - that's why you'll often see them on sports coupes, sedans and European sports cars. Performance tires are great if you're going to be handling your car at high speeds and need a tire that can keep up. Summer tires are great for your convertible or performance vehicle because they can endure the hot asphalt during summer. High-performance summer tires with tread patterns designed to grip in high heat conditions are essential for climates where hot days are common. If hot climates and performance vehicles is what you're working with, these might be for you. If you want a tire that has good road manners but don't want to sacrifice efficiency, touring tires could be a great middle-ground for you. Created to improve the ride quality and performance, this low noise tire is very popular among commuters and commonly seen on crossovers, minivans and sedans. UHP tires are for when you really want to push the envelope! With a speed rating of V or greater, UHP tires are designed with a low profile and a soft, sticky tread compound that’s designed for excellent traction and steering response. One thing to remember is that UHP tires also have a shorter tread life and are generally unsuited for winter driving or cold temperatures. Winter tires are essential for keeping your vehicle and family safe during snow and icy road conditions. We carry snow tires and stud-less winter tires that provide the best grip during snowy weather, as well as studded tires that give you enhanced grip in extreme icy conditions. We are always looking out! At SimpleTire we are always looking for the tire that has the most bang for your buck! 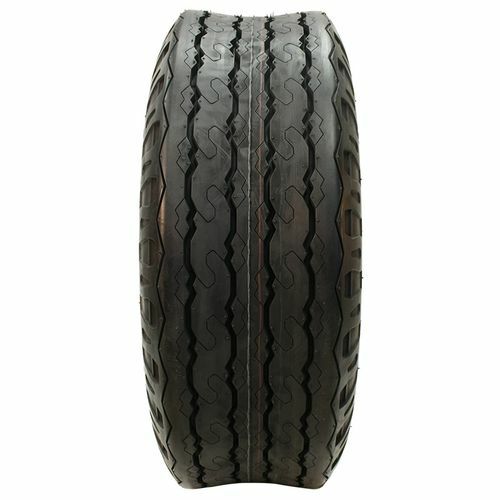 This way we can offer you the industries top tires at amazing prices. When we have enouph information our technology finds the best deal possible and based on reviews we can zero in on the best tire at the best price closest to you, and save you money! If you've ever been late for a date, appointment, or meeting because of a flat tire, you already know how frustrating it can be. If you've ever changed a flat tire in the rain, after dark, or on the shoulder of a busy highway, you already know how frightening it can be. So while we enjoy the freedom our vehicles provide, it's amazing how quickly that freedom vanishes when a flat tire strands us. SimpleTire offers an extensive variety of Run-Flat Tires! These tires are available in your local area. Since they are in your neighborhood. They will arrive within days. By purchasing these tires, you are also supporting your local community. Include Mounting and Balancing Services with your order and save 25%! SimpleTire has partnered with select Installation Centers to offer you a 25% savings compared to the average cost for standard installation services. Enter your email below and we'll notify you when product is in-stock.